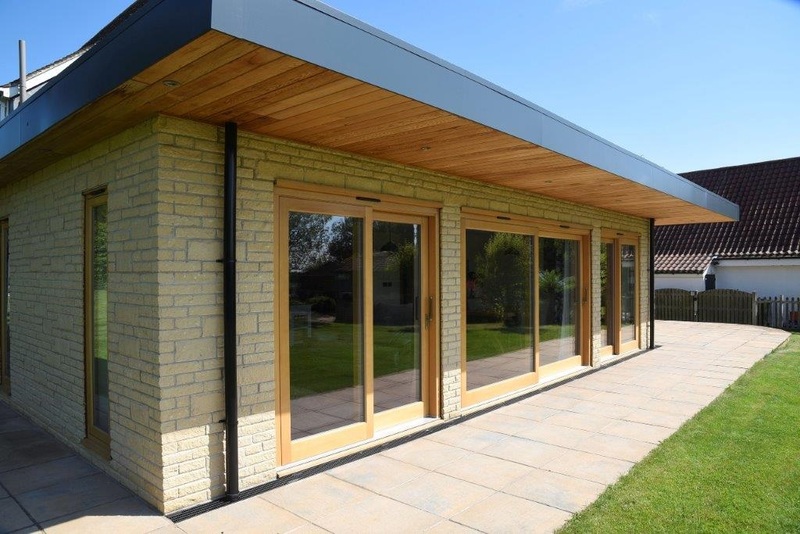 With a new extension on the horizon our client was looking to maximise movement around his home for all, keeping the areas as level as possible both through the doors and on the external patio. 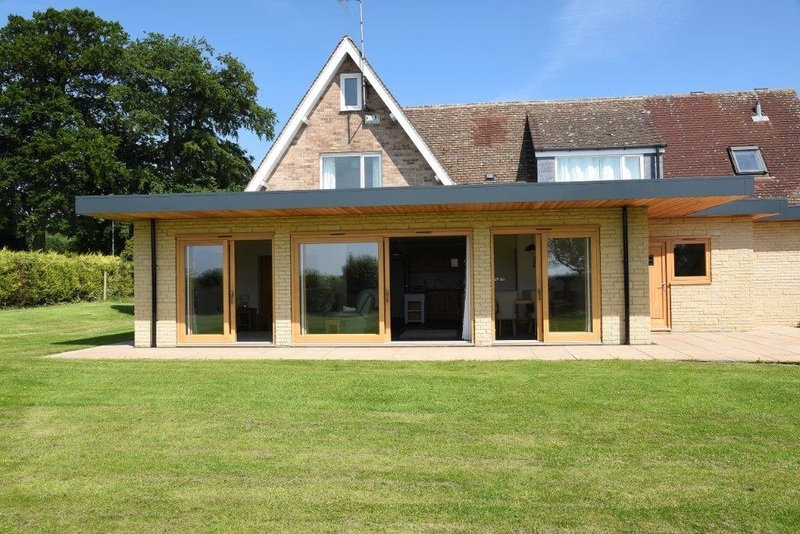 We were asked to provide a solution that would maximise space, and offer a door system that was both modern, reliable and elegant. 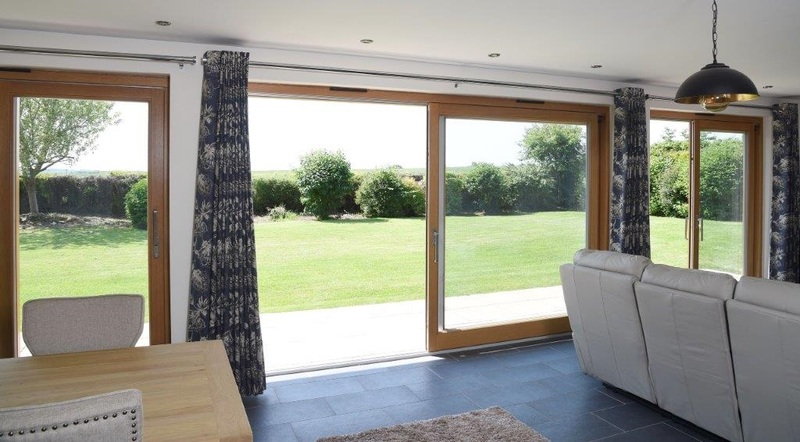 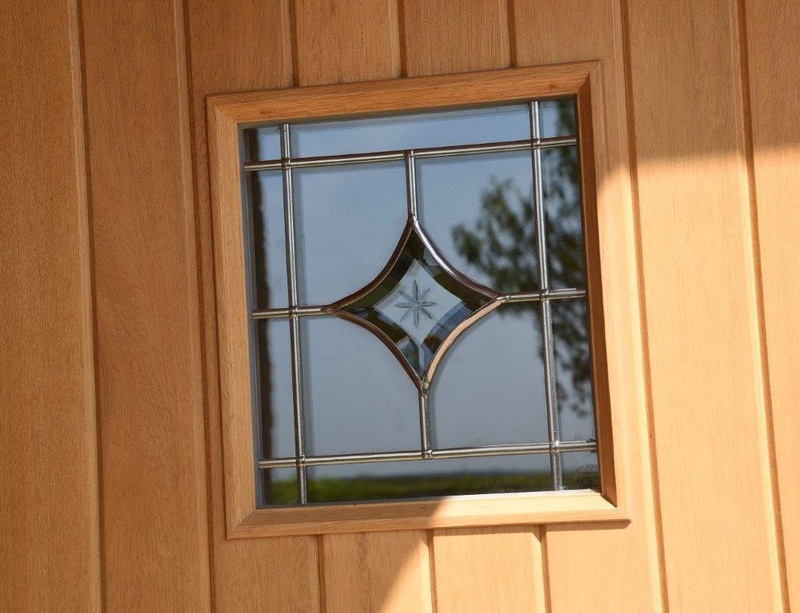 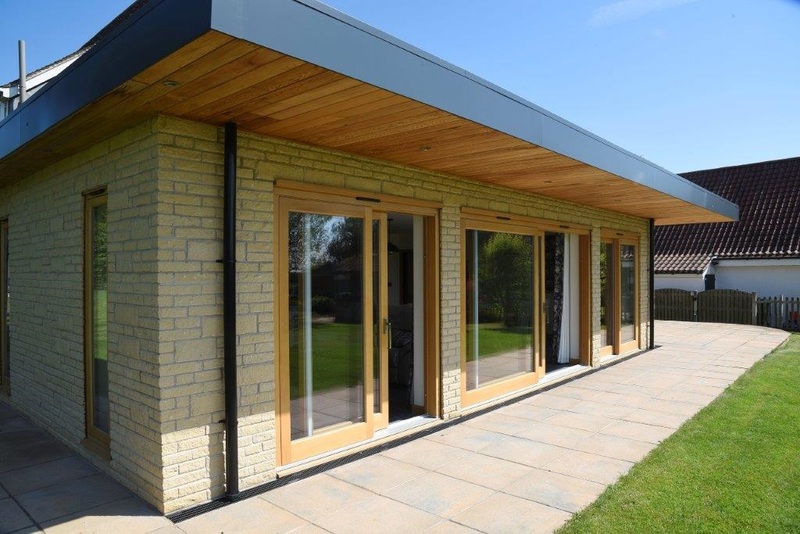 The Timber Windows sliding patio doors utilise German Built GU Gearing systems which enable the client to open these heavy doors with the minimum of effort, pushing them open with only one finger once the lock is released. 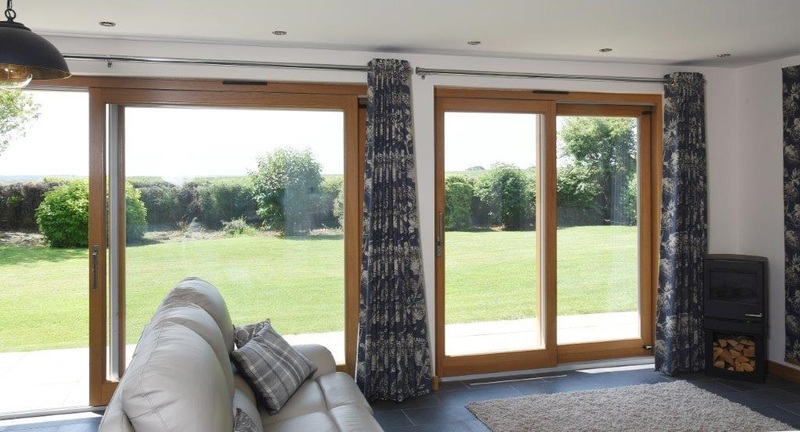 Included in the Lift and Slide GU Gearing is the option to lock the doors in any given position, great when you want the fresh air, but need to maintain security. 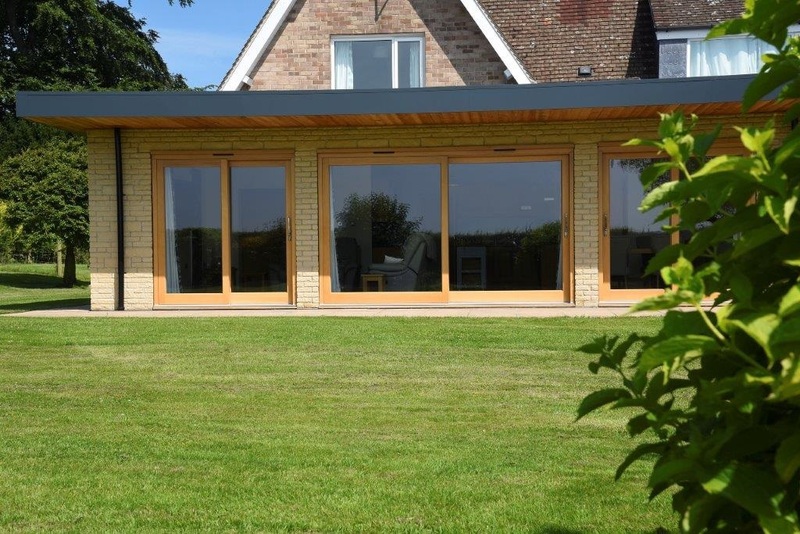 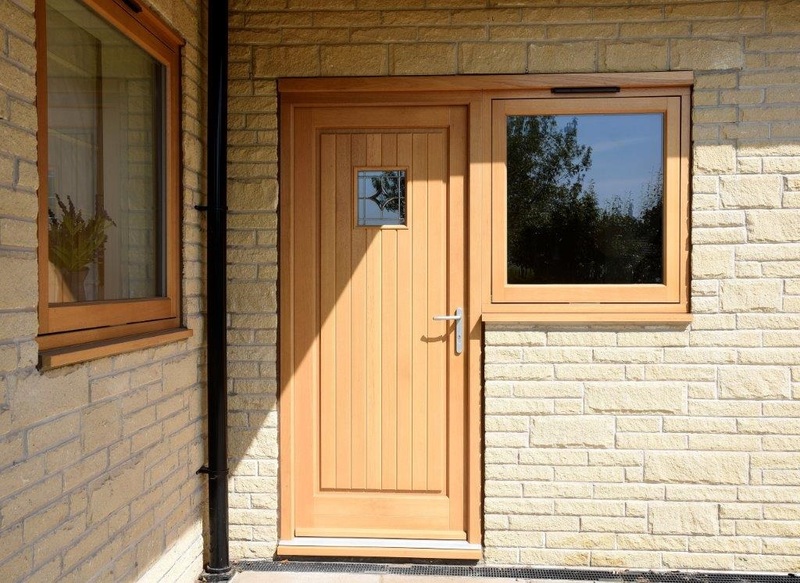 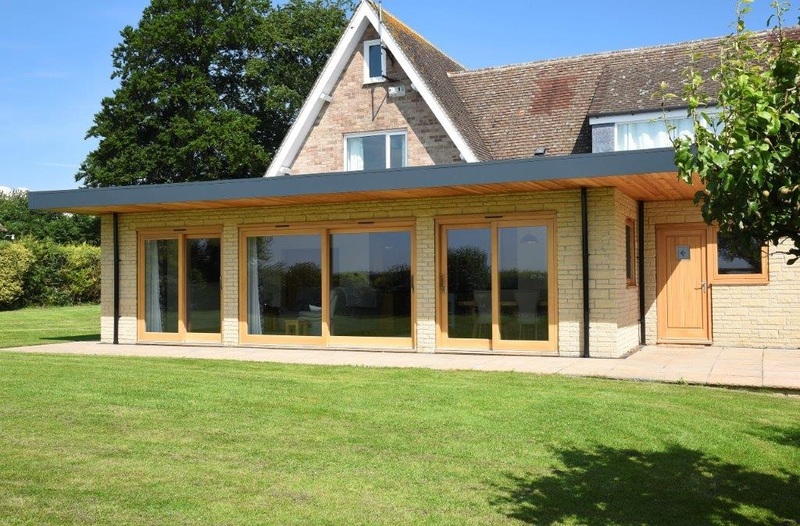 Built in Meranti Hardwood and stained in a Light Oak finish the patio doors were complemented by an Entrance Door and Window to the rear of the property.